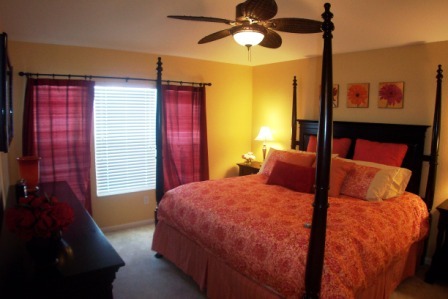 You will love the master bedroom suite, no expense has been spared to make this a truly luxurious room to stay in! 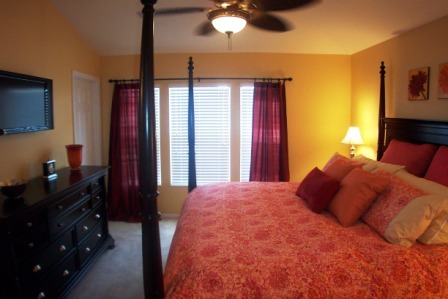 The vaulted ceilings are complimented by a new ceiling fan/light. 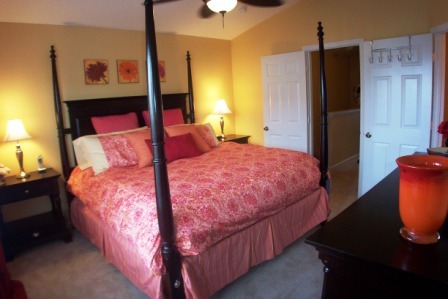 The 4 post bed is decked out in exquisite linens, and hanging on the wall is an unbelievable 32" flat panel HDTV. It's going to be hard to get out of this bed in the morning, we promise! !